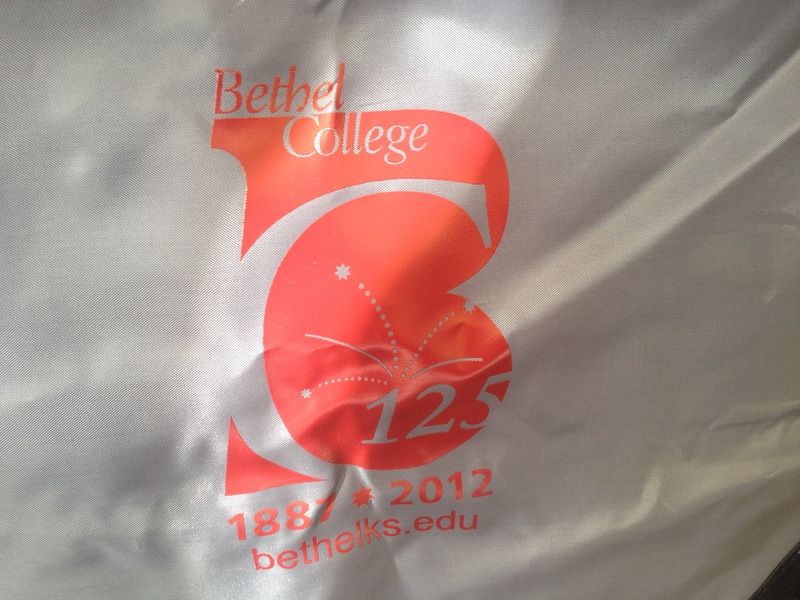 This is a Bethel College tote bag that was given to me during my final days in North Newton. It was packed with who-knows- what so that might explain the wrinkles. I saw this out of the corner of my eye this morning. That is probably because I knew that some folks from the Bethel College admission department would be joining us for worship. No alma mater is perfect. And I’m glad to be in a congregation full of people who have received fine educations from all over the world. Yet I must say that the professors, coaches, administrative staff, fellow students, and volunteers of Bethel are among my own cloud of witnesses-those who day after day make sacrifices, teach with skill and elegance, and model integrity. I was truly invited to seek, serve and grow in that place and for that, I will be forever grateful. I spent part of this evening with Rainbow senior high youth. As I drove home I prayed that each and every one of these youth have and will have their own cloud of witnesses full of teachers, coaches, and friends, who are seeking, serving and growing as Jesus followers. If these youth become Bethel Threshers in the process, hooray. If not, may they become part of a cloud somewhere (and not just in cyberspace) that seeks, serves and grows.